Coinciding with the release of the film, COLLIDER shares six movie clips, two featurettes and more from Universal’s upcoming animated feature The Tale of Despereaux. 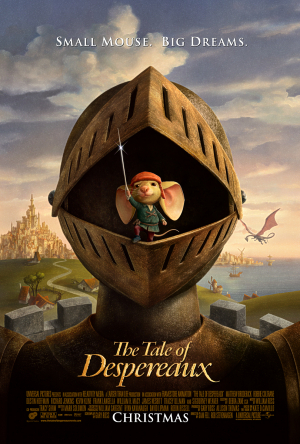 Directed by Sam Fell and featuring the voices of Matthew Broderick, Ben Falcone, Emma Watson, Tony Hale and Dustin Hoffman, Despereaux tells the tale of a tiny mouse with oversized ears who refuses to live a life of fear. In addition, the website has also posted an article featuring an interview with the voice cast of Despereaux, including Dustin Hoffman, Matthew Broderick, Emma Watson and Sigourney Weaver. The Tale of Despereaux opens Friday, December 19.